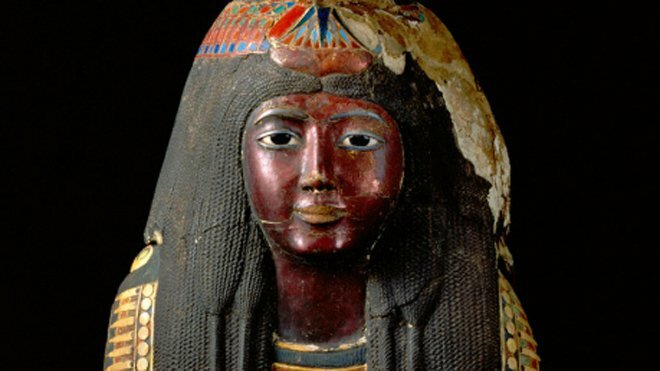 I wondered aloud two weeks ago what the St. Louis Art Museum would do with its declaratory judgment action over the Mask of Ka-Nefer-Nefer after the U.S. Court of Appeals for the 8th Circuit affirmed the dismissal of the related forfeiture action brought by the government. With the question of seizure answered for good, I suggested that the museum’s next move might be to dismiss its first-filed lawsuit, because its incentive to litigate the question of title was effectively removed entirely with the forfeiture off the table. Judith H. Dobrzynski picked up on this theme at Real Clear Arts. What Happens to St. Louis Art Museum Suit Against the U.S. over the Mask of Ka Nefer Nefer—Will Museum Dismiss its Case Voluntarily? On the heels of the St. Louis Art Museum’s victory against the civil forfeiture action over the Mask of Ka-Nefer-Nefer, the question arises what the museum will do with the lawsuit it filed in 2011 concerning the mask. That lawsuit, The Art Museum Subdistrict of the Metropolitan Zoological Park and Museum District of the City of Saint Louis and the County of Saint Louis, (the “SLAM Case”) filed before the civil forfeiture action that was the subject of last week’s opinion(United States vs. Mask of Ka-Nefer-Nefer, hereafter the “Forfeiture Action”), sought a declaratory judgment on several issues. This tactic is not uncommon when two parties disagree over a claim; essentially the party who would ordinarily be the defendant (here the possessor of the property, the museum), seeks offensively a declaration about the parties’ rights. Because of its recent victory in the Forfeiture Action, the museum’s best move may be to dismiss the SLAM Case now, rather than litigate ownership questions that it no longer has to answer. The Court of Appeals for the 8th Circuit has affirmed the dismissal of the U.S. government’s attempt to seize the Mask of Ka-Nefer-Nefer from the St. Louis Art Museum. Despite the government’s persistent characterization the mask as stolen before it entered the country, the civil forfeiture case has been rebuffed. The narrow issue was whether the trial court had properly denied the government’s request to amend its complaint after an initial challenge, but as the 8th Circuit put it, “Underlying that issue is an attempt to expand the government’s forfeiture powers at the likely expense of museums and other good faith purchasers in the international marketplace for ancient artifacts.” That latter question will have to wait another day, because the case was resolved on the government’s missed deadlines and nothing more.